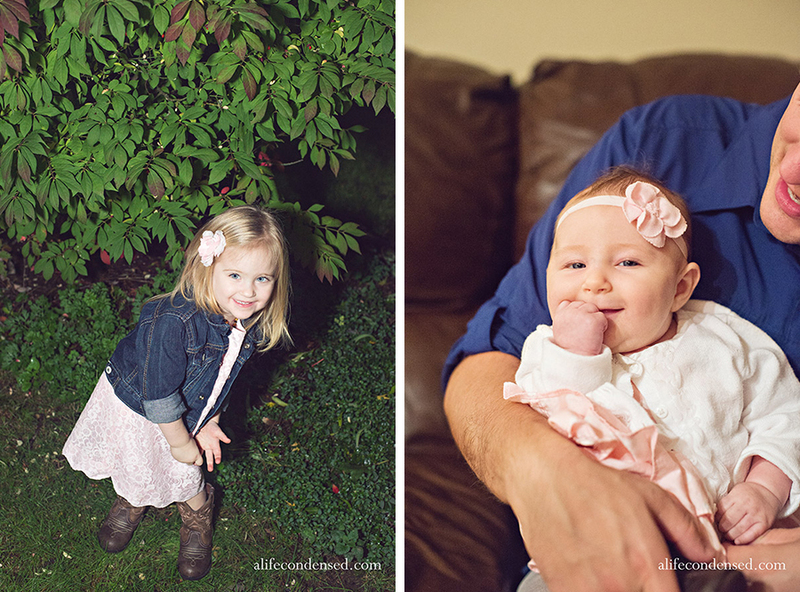 Nothing makes me more happy than when someone from my past hires me to photograph their gorgeous family. Especially when it’s a cold day right after Daylight Savings, which throws off the sun set time for the entire plan. 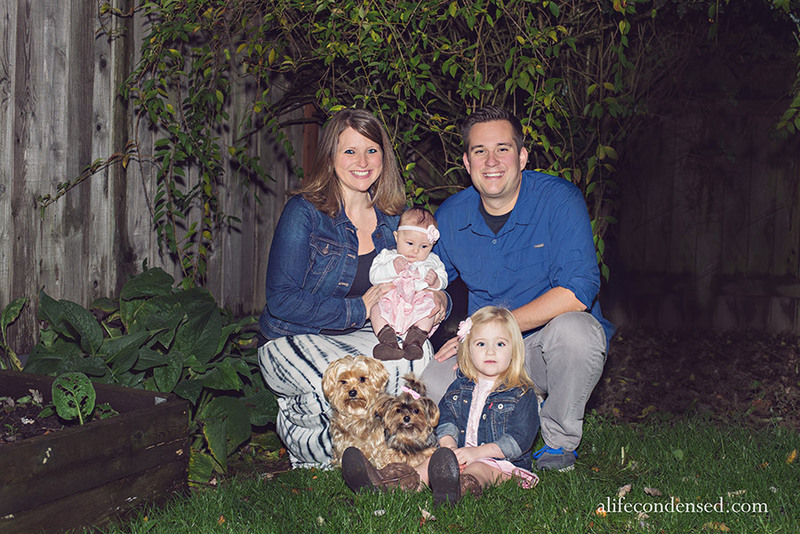 We got to explore the joys of flash and diffusers….which the wee little Laney did not enjoy so well. But at least the dogs listened well! We got to play a whole lot of games outside, trying to get everyone loosened up, including looking for the bug in the camera. This was sweet Kinsley’s model pose and baby Lainey’s “I got my daddy” grin. It was such a wonderful evening, full of fun and laughter and shared Halloween candy. Thank you all for putting up with everything and being so willing and helpful!